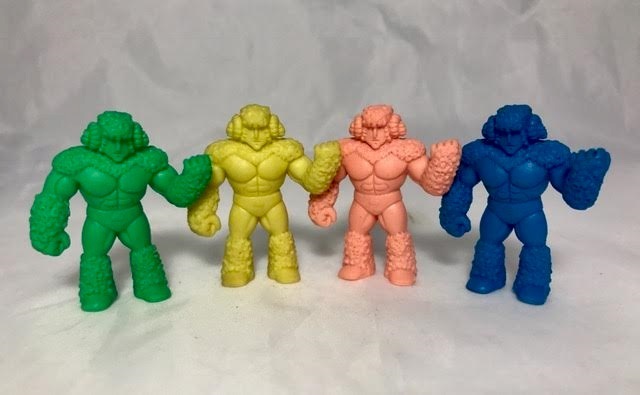 This week I’m highlighting a figure that supposedly is available as a Dark Blue Super Rare M.U.S.C.L.E. – Woolman! He’s better known as a much more affordable Kinkeshi figure which is what you see here today. Every time I look at my Woolman figures, I think of how the Woolman hails from New Zealand and the huge amount of sheep jokes we Australians conjure up to make fun of the Kiwi’s (New Zealanders for those that don’t know). I think either it was very clever or ironic that the Woolman hails from a country known for having massive amounts of sheep around the place and if you’ve ever been to New Zealand you’d know what I mean here. I think the ribbing of your neighboring country is a natural thing, I believe the USA makes fun of the Canadians in the same vain but for their country being in total darkness most of winter from what I’ve seen on How I Met Your Mother. But I digress so back to Woolman. 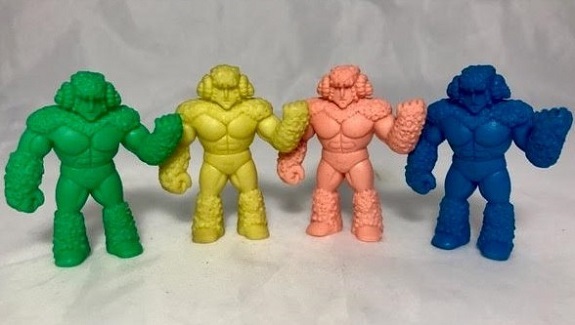 The Woolman figure doesn’t particularly look like a wrestling machine as many of the figures in the M.U.S.C.L.E. line do – yet he has a head sculpt that somewhat resembles a ram so you could imagine him lowering his head to ram his wrestling opponent into the corner and delivering some blows. I like him, I really do, he’s quite unique in that the Japanese line of figures have not included this sculpt in any other lines they released, makes him stand out somewhat in a collection of Kinkeshi figures but buried in a large collection of Japanese versions of popular M.U.S.C.L.E. figures. I try to keep him at the front rather than the baaaack of my display so he isn’t missed (poor sheep joke, I had to throw something in here). This entry was posted on Monday, January 9th, 2017 and is filed under UofM News. You can follow any responses to this entry through RSS 2.0. You can skip to the end and leave a response. Pinging is currently not allowed. 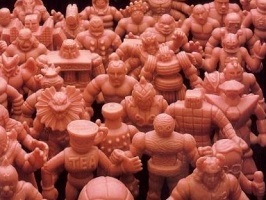 I’m trying to count how many Woolman figures are in the pic… but I keep falling asleep!